Joyce Egginton's 1980 book, republished by Michigan State University Press last year, is available in paperback for $19.95 at http://msupress.msu.edu. The accidental poisoning of Michigan dairy cattle in the 1970s sparked the largest chemical contamination in United States history. Nine million residents consumed contaminated meat and milk for a year after a Michigan chemical plant mistakenly added PBB (polybrominated biphenyl) – a toxic fire retardant – to dairy cattle feed, and distributed it to farms throughout the state. 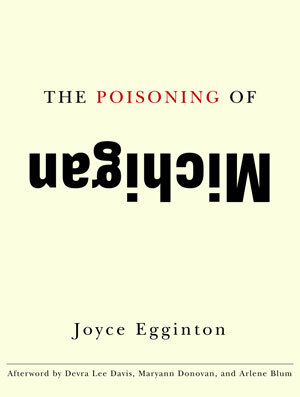 In the Poisoning of Michigan – published 30 years ago – investigative reporter and author Joyce Egginton sheds light on the PBB disaster and how federal and state authorities failed to respond. PBBs were banned in 2003, but equally toxic substitutes are still commonly used. 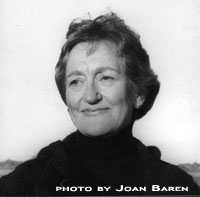 The Michigan State University Press reprinted Egginton’s book last August to draw attention to the subject once again. In a phone interview from her home in New York, Egginton discusses the impact of the book 30 years later and how the risk of chemical contamination is a long-lasting concern. Q: What sparked the story? Q: What was the immediate impact of the PBB contamination? A: “What had happened is that the whole quantity of PBB had gotten mixed in cattle feed. It was the biggest cattle feed plant in the state of Michigan and farmers from all over the state ordered their feed from there. With any sort of poison that people are slowing taking, the symptoms started appearing gradually. “The general view presented to them by the Department of Agriculture at that time was well, ‘You must be doing something wrong.’ Because in the early days, the symptoms that the cattle showed could have been put down to bad husbandry or poor feeding methods. Farmers weren’t talking to each other about their troubles. Q: Why was the PBB crisis underreported when it happened? Do you think it’s been covered fairly since then? A: “Even at that time, although it was this little downpage story in the New York Times, there was nothing in any of the Detroit papers. The Grand Rapids Press started covering it very early, and did a good job. A monthly magazine called the Michigan Farmer did, but nobody else that I could see. At the beginning, it was thought to be the complaints of farmers that couldn’t be substantiated. “It was an enormous story and no one was interested. I’m still, all these years later, amazed that that story has not been more widely told. Here is the biggest recorded contamination alone in this country – one that affected nine million people – and where have you read much about it? “Not long after it happened, there was a story of contamination in a place up in New York state called Love Canal. It was a modern housing estate that had been built on top of an old toxic dump. Everybody had been told the dump was sealed and safe, and it wasn’t. After some years, the toxins from the dump started permeating into people’s homes and there was a high degree of illness, particularly among children. “Now that got a lot of attention – a huge amount of attention. I reported on Love Canal. It was all contained in one place. It was easy to find people to interview because were all living in adjoining streets. They were all activists in the fight against the whole contamination issue. Q: What were the hurdles to gathering and presenting the material? “That was a huge obstacle. It was an obstacle for me because I didn’t know about dairy farming. I studied it as hard as I could, and as quickly as I could, but I think it was an obstacle that daunted a great many journalists in the state. I always remember that the head of the Department of Public Health in Michigan saying later, several years later, this was something beyond their comprehension. Q: Why reissue the book 30 years later? A: “This event in Michigan did cause PBB to be outlawed. It’s never been made since. And so there is a general reaction, ‘Well, Thank God.’ It’s caused this trouble – it’s no longer a menace. “Now, one discovers, that what replaced PBB is a great variety of similar chemicals that are used as fire retardants without real testing on the market. They’re not tested on people and many of them aren’t even tested on animals. And they’re terribly widely used. “This country has the highest incidents of these kinds of chemicals being found in people’s bodies. They’re used as fire retardants in practically every home. For example, it’s in the kind of foam rubber that is used in mattresses and armchairs. It’s used in carpets and drapes. Q: How would you have approached this book in 2010? A: “In some ways, it would be easier to cover because there’s more knowledge in place. When they tried to settle this one by a lawsuit on behalf of the farmers there was no such thing as environmental law. Now, there’s more protection for the public. But the more protection is coming at the same time as the more exposure. The one is never catching up with the other. After the statewide PBB contamination, the chemical plant at fault, owned by a company now called Velsicol Chemical Corp., became a federal Superfund site due to contamination of a nearby river. See what an environmental policy expert has to say about its cleanup. My husband was stationed at Kinshloe AFB duing the period of “Poisoning of Michigan”. They lived off base. In remarkable health most of his life, he recently was diagnosed with a rare type of bone marrow cancer. I have to wonder if related to PBB exposure. You people who have commented here act as if you think this is over. It is not. The Michigan Chemical Company, which later became The Velsicol Chemical Company, resided in a small mid Michigan town by the name of St Louis, also known as the “Middle of the Mitten”. People there are still being poisoned by PBB, DDT and radiation. The earth, water and air are all still killing off the town. The “plant” was buried near the river. A large area was fenced off from the public. Another area was turned into a golf course. Supposedly the area was capped. Only to find out many years later that the cap leaked. The poison got into the aquifer and poisoned our drinking water. There is a very high rate of human cancer in that area. Many human birth defects, a high rate of miscarriage and many autoimmune diseases. People act as if we don’t exist. Emory University and the government are using us as guinea pigs to see how bad it can get. People here cannot be expected to stay and yet can’t afford to move away. Birds drop dead onto people’s lawns. Lawns have been replaced, but it has done no good. The contamination has taken over them again. Within the last couple of years our water source has been changed. It now comes from a neigboring small town, but the contaminated pipes are still in use to pipe the water to the homes of the residents. We can get no help from anyone. I live in Indiana, I looked this story up because I watched a movie that was about this subject in 1978 or so, and was wondering if we may have gotten some of the contaminated beef and what would be the long term effect, also I was wondering this because I heard that alzhimers was on the decline but if that is true and there has been no cure then we would have had to ingested meat, milk something to bring this about, could anyone tell me what the long term effect of the PBB would be and what does those letters stand for? In the year of 1973-74, Flint, Michigan residents (and the entire state) had exposure to another toxic metal, bromine, as in Poly brominated biphenyl (PBB). Many don’t remember this, but it still affects us today. The poisoning chronically weakened all Michigan residents’ immune systems, which would make Flint residents more severely ill from the still-happening, criminally lead-poisoned water. But there is an affordable, natural way to help detoxify. Please keep reading. During my recent training as a nutritional therapy consultant focusing on ancestral nutrition, I re-discovered something I had forgotten that happened when I was 14–the 1973-74 PBB (Polybrominated biphenyl in Wikipedia) incident of fire-retardant laced meat, eggs, and milk that poisoned my family as well as 9 million Michigan residents, 4-5 generations out, causing thyroid damage, neurological disease, endocrine autoimmune disease, and certain cancers. Most Michigan residents are iodine deficient from living in the “Goiter Belt” with no iodine in the soil or water. Iodized salt is not nearly enough. Bromine in PBB occupies the receptors for iodine in the thyroid, breasts, and prostate. Bromine is the main element in fire retardants, fire-extinguishers, sedatives, anti-knock agents for gasoline, and insecticides. Bromism is a neurological illness caused by bromine toxicity that mimics depression and psychosis, because it displace iodine from the thyroid. Many of the same problems are caused by lead poisoning. At the end of this article is a step-by-step safe, affordable, and easy protocol to release toxic bromine and lead out of your system. The majority of those exposed to PBB were at low levels that mimicked hormone levels, causing autoimmune injury to cell membranes and leading to severe endocrine disruption.â€¨St. Louis MI is where the negligent Vesicol Chemical company accident happened, and left a chemically devastated environment including polluting Pine Lake. Synthetic fire retardant (PBB is similar to PCB) was accidentally switched with magnesium powder for farm animal feed for an entire year, resulting in the worst and largest industrial public health disaster in the country. There was rampant governmental cover-up from the then-current Milliken administration, siding with Big Agri/Industry instead of the small farmer and the public, just as with Snyder and Flint. Cattlegate , a documentary by Jeff Jackson shows his veterinarian father discovering the PBB cause, and a book titled “ The Poisoning of Michigan ,” reprinted in 2009 by reporter Joyce Egginton, details the corruption and coverup of the 1973-74 disaster. Also, according to a 40+ year study now at Emory University, testing showed Michigan residents still had a 95% higher toxic fat cell load of PBB fire retardant than the rest of the country in 2014. PBB stays tightly bound to fat cells unless released with detoxification methods, creating chronic neurological disorders, inflammation, pain, and invasive fungal candida. When Michigan residents begin to experience hormonal changes with age, the adrenals are often too damaged to work properly, leading to chronic fatigue like I experienced. I hear from many that there is no way to detox from this toxic exposure, but that is not true in my experience, which I want to share. My clinical research and practice is based on solid science from an eminent Michigan doctor, David Brownstein. With his guidance from his book, I have developed a gentle, inexpensive, effective, easy detoxification/nourishing protocol using minerals, vitamins, and herbs to slowly but surely release much of the toxins from the body while preventing uncomfortable detox reactions. My story is that after years of chronic pain, in 2013 I was diagnosed with neurological demyelination of spinal nerve sheaths, severe spinal stenosis, herniated cervical discs and was scheduled for near-emergency spinal surgery. Two other sisters also had to have this surgery as they approached menopause. My extended family has suffered with much endocrine-related physical and mental illness over the years. I decided to find the root cause of all this degeneration. At 55, my muscles were wasting as I kept losing weight, with my adrenals shot. Everyone has an individual constitution, and opposite symptoms such as massive weight gain happen for some people. PBB/bromine/lead also deposit into soft tissues and bones and block minerals, leading to joint pain, tooth loss, and osteoporosis. A couple of years of detoxification with salt and iodine plus ancestral nutrition (nutritionally-dense food, superfoods, minerals, and vitamins) has cleared up a chronic hidden, deep, low-level infection in my teeth, gums, and body. I honestly have more energy and am healthier than 20 years ago. Again, PBB is Poly brominated Biphenyl, which is made so toxic because of bromine, a heavy metal that competes for iodine receptors in the thyroid, breasts, and prostate. It has been replace with almost equally toxic alternatives, which still have bromine/chlorine as their main ingredient. These endocrine disruptors are everywhere, from that new car smell to processed food and in pesticides. It recirculates endlessly through the bloodstream and gall bladder, unless released from cells into the blood by iodine,and bound by salt to be removed via the urine. Unfortunately, due to faulty studies and corporate misinformation (like with saturated fat), iodine has been unfairly demonized over the years as causing/exacerbating thyroid illness. For over thirty years Dr. Brownstein has helped many Michigan residents recover their health with an iodine protocol, and puts some fears to rest:â€¨“Does iodine cause hypothyroidism/hyperthyroidism?â€¨No. Iodine deficiency causes hypothyroidism/hyperthyroidism. Does iodine cause goiter?â€¨No. The most common cause of goiter is iodine deficiency.â€¨Does iodine cause autoimmune thyroid disease?â€¨No. Autoimmune thyroid disease is caused, in part, from iodine deficiency. The proper use of iodine, with co-nutrients, is a safe and effective treatment for most people, says Dr. Brownstein. Here is the detox/nourish protocol to excrete lead/bromine/PBB toxins, and heal your immune system. You can expect to feel better within a couple of weeks, although it may take months or years to deeply detox. Slowly but surely is the way to go. Caution : Do not try this protocol until you discuss with your doctor, and to ensure your kidneys and liver are healthy enough to handle detoxification. If your kidneys and liver need nutritional support, this is a basic detox protocol: For four weeks eat plenty of cooked non-starchy vegetables with a small amount of animal protein at each meal, stay hydrated, while cutting out sugar (do eat fresh fruit). Eat 2 tablespoons coconut oil a day plus fish oil, to get the bile flowing in the gallbladder, so when you begin the protocol it will bind lead and bromine to sea salt and be eliminated. Then have your kidneys and liver function tested again. Dr. Yoshiaki Omura from the Heart Disease Research Foundation of New York, found that fresh cilantro can begin to remove large amounts of heavy metals like lead from the body in less than two weeks. Marie is a nutritional therapy consultant at her business, Nourishing Life Center. She cares deeply about protecting the health of people, animals, and the environment. Again, PBB is made so toxic because of bromine, a heavy metal that competes for iodine receptors in the thyroid, breasts, and prostate. It has been replaced with almost equally toxic alternatives, which still have bromine/chlorine as their main ingredient. These endocrine disruptors are everywhere, from that new car smell to processed food and in pesticides. It recirculates endlessly through the bloodstream and gall bladder, unless released from cells into the blood by iodine,and bound by salt to be removed via the urine. Marie Stempel is a nutritional therapy consultant at her business, Nourishing Life Center. She cares deeply about protecting the health of people, animals, and the environment. I lived in Breckenridge , Michigan and at 36 years old I developed a large pituitary tumor, which caused Cushing’s Disease. i had it removed but now I live with panhyopititarism. We were stationed at Kincheloe AFB and immediately after this became public knowledge we were told that all,our milk came from someplace else and not to worry we were ok! Like if it was all,of the state where do you think our milk came from? My husband as so many things wrong with him, my daughter has thyroid disease and major hairloss. I have stage 3 kidney disease. No kidney disease in my family but am told it is hypertension. My bp used to be somlow I could not even donate blood. I was pregnant with my first born, I was suffering from hyperemisis and was advised to drink lots of milk, eats cheese sticks wrapped in beef slices every hour. I was in and out of the hospital throughout my pregnancy, always suffering from nausea so badly that nothing helped. IVs were given every few weeks to help with dehydration. May of 1975 my son was born, I of course nursed him and co tinted the milk drinking advised by my doctors. We always had meat and potatoes for dinner as that is what we did back then. We lived in Standale, Michigan and bought our milk from a local farm in Coopersville. Our son was nursing one night and I noticed that his pupil was odd shaped, and called the doctor to have it checked. He not only had a defect in his eye but his heart was not beating as it should, he was an active lil guy but would have chest pains. We found out he had a defect, now at 41 he has had several heart surgeries. Breathing challenges as well. My second pregnancy was lost at 5 months. I today at 61, suffer from many “unexplainable ailments”. Arthritis, fibromyalgia, skin issues they call precancerous, headaches just to name a few. I have grand children with autism and wonder if the PBB is cause for that too? I was pregnant with my first born, living in Mesick MI with my husband, eating lots of beef, beef liver and drinking milk, as many pregnant women do, the Fall & Winter of 1976 and the Spring of ’77. Rather then carry her the usual 9 months, for some reason, and enduring what Dr called “false labor” and subsequent “pit drops” , 7 in all, despite the fact “pit drops” had already been banned in Europe, deemed unsafe, I carried my daughter for 10 months and 3 weeks. She was born dead, somehow resuscitated, and suffered from extreme brain damage and blindness. We lost her in 2002, she was the love of our lives! only 3 weeks short of 25 years in a wheelchair. I dont know what the hell goes on in Michigan, but I do know there is something terribly wrong. We immediately moved asa she was released from hospital where she had been air lifted to. Hospital Traverse City, they were very good to us there, and moved to be near a crippled children’s hospital in CT, with hopes they could help (they couldn’t ) and then to Florida to give her the best possible chance at some kind of life, with her 2 perfect , healthy younger siblings, carried and born in CT only 2 years (sister) and 18 months (brother) later. And we did, we gave her the best life possible. She was our Angel Heather and we loved her with all our hearts, beloved and missed by Mama and Papa, Brother and Sister. I was ten years old in Michigan, in 1975. Five years later I had a tumor the size of a football removed, I’ve had issues associated with PBB my whole live and now have hypothyroid disease, unexplained joint pain and a host of other health issues. I didn’t know much about this other than my mother saying we had PBB poisoning, until information started hitting the internet. Really just the past couple of years. I had no idea that I’d passed it to my children until recently. My oldest daughter has health problems which are unexplained and are likely caused by PBB poisoning. How do I arrange for tested? What can be done with the information? It’s unconscionable that 9 million people can be poisoned with the chemical company bearing zero accountability. I was 8 years old in 1975 and being a picky eater then, ate nothing but bologna, hot dogs and drank a ton of milk. Spent 2 weeks of my life completely bent over with agonizing stomach pains that actually had me moaning the whole time. Parents took me to the hospital at least a half a dozen times in those 2 weeks. Sooo many blood tests taken. Was almost cut open thinking it was my appendix bursting but I didn’t have a fever or throwing up. Just ungodly pain. I believe some of the unexplainable ailments that I have now (I’m 49) might be from this. My family was effected by this tragedy. My younger sister died of a brain tumor in 1978 (no cancer in our family history) and the doctors said it was probably from the PBB poisoning since she and I drank quite a bit of milk. I have suffered from memory problems since I was about 13-14 years old in 1975-76. Prior to that time I was an A student, but my grades dropped dramatically because I no longer had the ability to remember anything for more than a very brief time. I am now 53 years old and suffer from arthritis (doesn’t run in the family), severe ringing in my ears (also doesn’t run in the family and I never listened to loud music), and I still suffer from memory problems to the point where it is difficult for me to work any normal job, since most require you to be able to remember at least some basic information. I only found out about this poisoning just two years ago! I found out through a friend who had watched the movie, “Bitter Harvest,” and asked if I had been poisoned. I was shocked when she asked me that question! She went on to tell me what happened in my own home state. (I no longer live in Michigan.) I was floored when I later asked my mother about the death of my sister and she told me it was from the milk poisoning, but there was nothing they could do to prove it because they could not afford a lawyer. So all these years I believed myself to be stupid because I could not remember anything. People still don’t understand why I forget things like doctors’ appointments (happened yet again today!). I explained to my doctor what happened to me and she researched it, yet I’m still charged the missed appointment fee. I have even been dropped from one practice because I missed three appointments. Life has not been easy, but I trudge onward each day, trying to cope the best I can. It’s a daily steep uphill battle. It’s called negligence and in this case “Gross Negligence,” and that is what is required for law suits! The truth is this was a disaster caused by a coincidence – The Michigan Farm Bureau mixed the fire retardant in with the animal feed. They sold both but virtually on the same day the feed and the PBB were altered from one in flake form and the other in pellet form to both being the same – completely unknown to each other – also one bag was red and the other blue and likewise one was changed so the color of the bags were the same. After this no insurance companies were willing to insure the Farm Bureau however realizing the incredible coincidence I wrote the liability for many years without any problems – a classic example of locking the door after the horse had bolted! Really there was no negligence on any one’s part but just a terrible coincidence. I grew up in Michigan and I remember very well when this contamination happened! I remember the meat tasting weird and even butter had a strange smell and taste. My mom said she used to throw out a lot of meat because it didn’t seem to smell right. Anyway, now I have a BRAIN TUMOR, an autoimmune disorder and thyroid (hypo)issues. My mom has had breast cancer, leukemia, and now has severe joint pain and has had her hair fall out. The people who did this and those who covered it up will answer to God someday. Jesus will avenge. I’m terrified of my brain tumor!!! I grew up in Michigan 12 years old in 1974, I am now 51 and have remained relatively healthy through out my life. Suddenly, I have been afflicated with Pre-lupus, joint pain, neuropathy, decreased immune system, Fibromyalgia, mouth sores with no plausible explanation, celulitis. I vaguely recalled the “milk crises and meat shortages: growing up but was too young to understand. I have spent the last 3 years of my life trying to figure out why I cannot walk – my head gets foogy and I have no resistance to anything. I have been to Rehumatologist who cannot seem to pin-point the cause. Seems to me, I may have found my answer here. This just breaks my heart – no one deserves this and someone is responsible. I was born in the 1960’s and grew up in St. Louis across the river from the Michigan Chemical/Velsicol plant. Some of my friends parents worked at the plant. But I still have to say that plant was a mess. I remember walking home from school one day and all of the trees were covered in a fine white powder on the upwind side. A few days later all of the leaves on that side of the trees were dead. There was a golf course behind my house. I was told there was a landfill under it. Large sink holes formed in the golf course; they were roped off with hazard fences. We just played around them. There was an old dilapidated sugar beet processing plant on the other side of town (just a few blocks away from the plant because the town is small). There was no security and the neighborhood kids played in it. It was sometimes used to store large metal drums of liquid and large brown bags on palettes. No idea what was in those or if they were at all related, but it always seemed odd to me. Two of my brother’s three children have developmental issues and moderate birth defects (I have no biological children). My mother had colon cancer and later died of brain cancer. There is no history of cancer in our family. I believe there are at least 5 separate super-fund sites in St Louis/Alma. Anyone who has concerns, particularly if you know your family may have had one of the contaminated/quarantined farms or got milk, eggs, meat directly from a farm at the time, PLEASE contact Emory University. http://pbbregistry.emory.edu/ They have the research funding to continue to study those affected in Michigan. They need as much participation as possible to continue this important work. They are working in conjunction with a group of farm families to help coordinate efforts in Michigan and also with the Pine River Task Force to follow up with people who worked at the chemical plant or live in the surrounding area. They hold public meetings several times a year in locations around Michigan to share their findings, hear additional concerns, collect blood samples to test levels. I can’t sleep and because I lived in Michigan during the PBB incident I wanted to refresh my memory of what happened. Also, because the state I now live in (North Carolina) is repealing all kinds of government protection for it’s citizens, land and water resources, I needed to remember the PBB Poisoning. We lived in Grand Rapids and there was excellent reporting in GR. As I remember the state, including our governor at the time did a good job of covering up the story for months, even though they knew what was happening. The GR TV channel 13 had a young woman reporter who did an unbelievable job of covering this story. She even confronted our governor. I wish I could remember her name now as she deserved much thanks for her persistence in getting the truth out to Michigan citizens. Just visited a site regarding this and there is a study going on with this and the person to call is Dr. Michele Marcus 1-888-892-0074. This site also shared that you just can’t go to the dr’s and get tested for this it has to have a sample sent to some lab. You can’t always trust the governmental agencies that are supposed to protect us. They don’t always know what’s best for us as a lot of people are finding out. They are human and they are subject to graft and corruption. You can only trust your own judgement in some matters. I have been researching this topic and found in one documentary that food was pulled from store shelves and from homes of the contaminated. Is this true? If so, did they have meat shipped in from else where and did they raise prices for Michigan residents? What a horrible thing to happen to people and farmers. I have read many articles and many of the comments posted and it sounds like there is so much we may never know because someone was trying to cover their rear! How sad–it cost the health of so many–and still does. If anyone has knowledge of what they did with the dairy and meat after they discovered the contamination–I would be most grateful to hear your story! Born and raised in Fremont michigan. My grandparents owned a farm in the 70’s. Emory university does a study on my family every so many years. They send us a kit and we send them urine samples.